We specialise in high quality, traditional, genuinely hand painted signage for business premises, shops, boats, public houses and homes. Our signwriter was one of the last in the country to gain the City and Guilds qualification in traditional signwriting and uniquely has a Masters degree in design. We combine traditional methods of painting by hand with the highest quality materials and the latest design technology to ensure your sign is exactly what you are looking for. Why have a hand painted sign? 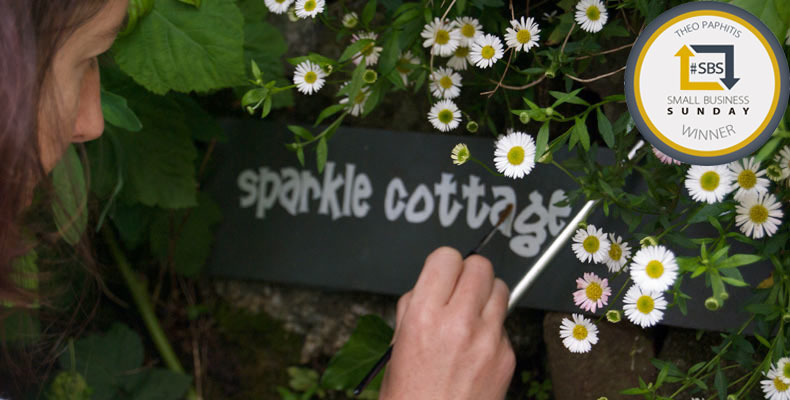 Within conservation areas and on listed buildings, traditional signage is often required. Paint is a versatile material, and can often be used on many surfaces where vinyl would not be suitable. All signage is vulnerable to environmental conditions, but a painted sign will fade attractively, as unlike vinyl which can degrade rapidly. Painted signs can be easily refreshed to bring them back to their former glory, whereas a vinyl sign would have to be entirely replaced. Hand crafted, unique works of art, our signs are hand painted in the proper, traditional manner, using quality brushes and painstaking workmanship. We are able to take your existing logos and artwork and reproduce them using a blend of traditional and modern techniques. We are friends of the Heritage Crafts Association, corporate members of the Trevithick Society, member of the Federation of Small Businesses, IPAF qualified to drive mobile elevating work platforms and CSCS card holders for work on building sites.